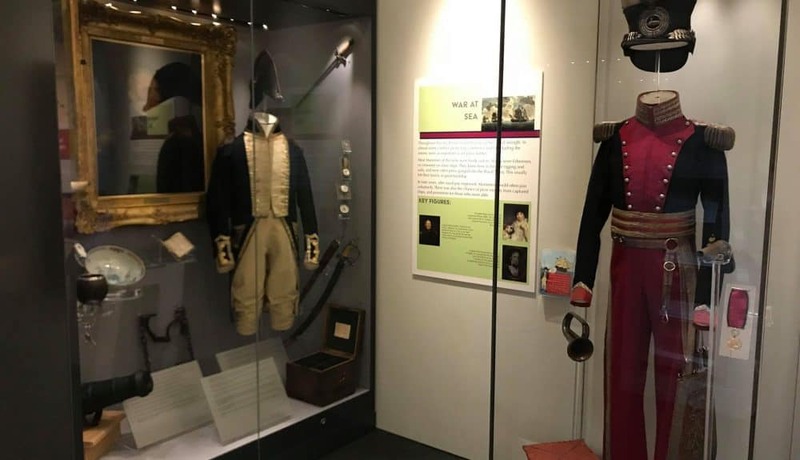 On Friday 30 November, Manx National Heritage will host a public lecture by Textile Conservator Jacqueline Hyman, on the conservation of the Manx Museum’s rare 200 year old collection of military uniforms, worn by local people during Napoleonic times. Jacqueline will describe the intricate and sympathetic treatments she used to clean and repair each uniform for display in the new Mann at War gallery, using detailed before, during and after pictures. “We have learned that Captain Quilliam’s naval uniform is not only of local importance but is of international significance. Bloodstains and battle damage revealed during conservation treatment offer support to the long-held assertion that this is in fact the uniform that Quilliam wore aboard HMS Victory at Trafalgar in 1805. It is now looking increasingly likely that we have in the Manx Museum one of only a handful of such uniforms. Conservation of the uniforms was funded by the Friends of Manx National Heritage, an Isle of Man registered charity committed to supporting the work of Manx National Heritage. Tickets for the lecture cost £10, available from the Manx Museum and www.manxnationalheritage.im/shop.